So you need a business mentor …Or do you need a coach? If you’re not sure which one, don’t worry — you’re not alone. Many people have a difficult time understanding the differences between the two roles. But while there may be some similarities, mentoring and coaching are quite different. 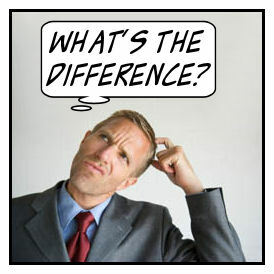 So how can you tell the difference between the two, and how do you decide which service will give you the assistance you really need? 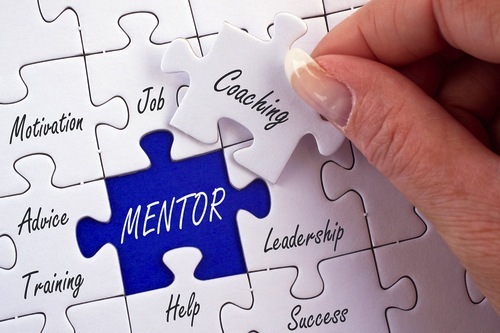 Why your business needs mentoring and not coaching. How to distinguish a qualified business mentor from a coach. Before you can distinguish between business mentoring and coaching, we should first understand the difference between an ordinary mentor and a business mentor. An ordinary mentor operates in more of a general environment, sometimes taking on all kinds of mentees, regardless of their specific career goals. A business mentor, on the other hand, is an expert in a particular field, ideally the same field their mentees want to excel in. Business mentoring focuses on enhancing specific skills and attaining a higher level of performance. Now that you know the difference between an ordinary mentor and a business mentor, where does coaching come into the picture? Coaching is a mostly short-term initiative that often focuses on executives and upper management. Rather than targeting individual employees, coaching targets specific areas for improvement in an organization or team. It is more about identifying problems and changing behavior than fostering the growth of aspiring employees. You can identify a business mentor by his/her skills. A business mentor is a qualified and trained professional who will help you develop or improve upon specific skills, talent, and knowledge. A coach, on the other hand, might be a senior team member or manager within your organization who will guide you on the basis of lessons learned from personal experiences. Business mentoring has a much broader scope than coaching. It is a long-term commitment and mentee-specific. It requires the business mentor to invest a considerable amount of time in a mentee’s progress and overall career development. Coaching is more of a short-term initiative, tending to be task-oriented rather than broad scope, and is primarily concerned with selected issues for improvement. Business mentoring has been a valuable teaching technique for ages. The Mentor Hall of Fame highlights mentors all the way back to the time of Socrates in the fifth century B.C.E. Incorporating the traditional values of mentoring – like knowledge-transfer, guidance, career and personal development, and skills-development – into your organization’s culture will make it stronger as a whole for years to come. Coaching, on the other hand, focuses on the specific problem at hand, devising a desired solution, and taking immediate action to correct the problem. All in all, coaching is a less formal approach to development, and is more concerned with changing behavior than changing company culture. Business mentoring demands time, patience, and emotional interaction between mentors and mentees. Thus, the business mentoring relationship is a systematic process. There is a set of rules and challenges designed to measure the mentee’s progress at various stages of the process. Coaching may not be quite so methodical as it focuses more on assigning tasks and setting targets for changing behavior. If you are looking for increasing employee engagement, enhancing your employees’ skills, and improving quality of work, you need the well-structured and industry-specific process that business mentoring offers. Understanding the difference between a business mentor and a coach is essential to identifying your organizational needs. Contact MentorCloud to guide you through making the decision. If this post was valuable to you, please feel free to share it across your social media channels. Also, give us your thoughts on best practices and/or your experiences with mentoring. Thank you for reading, and check back in every Monday and Thursday for original posts on the #powerofmentoring!